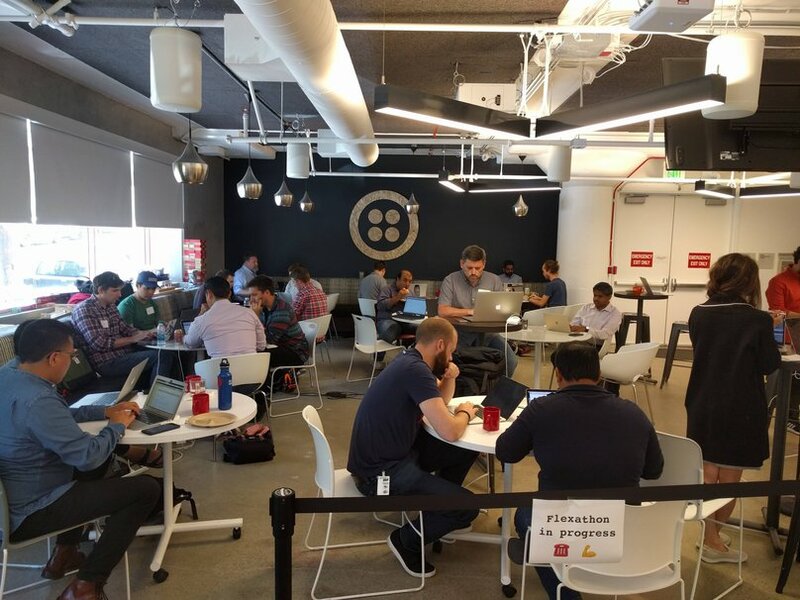 This post from Patrick Sparrow, Software Engineer at AdHawk, is the second in a three-part series sharing a look inside the Twilio Flexathon. At AdHawk, our main focus is simplifying digital advertising for small- and medium-sized businesses. We use machine learning and data science to analyze and optimize ad accounts for thousands of businesses. Small businesses often don’t have the time to set up the technology needed to run their advertising campaigns. We’re currently building a tool that helps brick-and-mortar businesses connect with consumers without knowing the ins-and-outs of online advertising (like CPM, CPC, CTR, etc.). To accomplish this, we need a contact center solution that allows us to access information about both the retailer and the potential customer. At the Flexathon, the first thing we tried was to make sure we could bring the custom data from our own database into Flex. It was definitely easy to find the right components to customize. My product manager Joe Leung and I also worked on updating the task panel to expose information from our application’s API along with buttons to interact with it. With Flex, we want to qualify leads that are being routed to our clients. This will give our customers a higher return on their investment. Once Flex is wired up with our app, our agents will be able to take advantage of the warm transfer feature to transfer qualified leads directly to the vendor. We’re also looking forward to seeing how emails will be handled in Flex, as many visitors to our customers’ websites will be filling out a contact form. Playing with Flex was exciting because it is completely programmable. From my brief experience, it looks like a platform that allows enough customization to fit many different use cases. I think that as the documentation grows, it will be just as easy to handle more advanced use cases in Flex as it was to do the simple things we worked on during the Flexathon. I’m looking forward to building a user-friendly contact center that presents our agents with all of the information they need to successfully connect retailers and customers. Flex is a really powerful tool and seems like the one-stop solution that we need. Good stuff.